New Delhi: A senior official of the Delhi government has approached the Union Health Ministry asking the authority to stop the promotion of smoking and ‘hookah’ in the three web series – ‘Made in Heaven’, ‘Mirzapur’ and ‘Four More Shots Please’ being aired on Amazon Prime Video. Additional Director in Delhi Health Department Dr S K Arora has also written to Amazon CEO Jeff Bezos and producers of all these shows for stopping these violations immediately “on legal and moral grounds as well”. Arora said the office of Jeff Bezos has replied that they has received the complaint and will respond shortly. Arora has also written separately to producers Zoya Akhtar, Farhan Akhtar and Pritish Nandi on the issue. 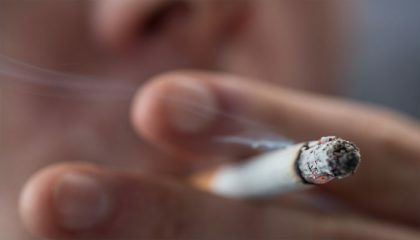 In his letter, Arora said section 5 of Cigarette and Other Tobacco Products Act 2003 (COTPA) prohibits the advertisement, promotion and sponsorship of tobacco products and this prohibition extends to the depiction of tobacco products or their use in films, television and web programmes. “These days lot of movies and TV serials are being shown on the online portal which are primarily viewed by youngsters either on smartphones or on the smart TV. There are many global players in this online video streaming sector in India. “Among them I want to bring to your notice some episodes of TV serials namely ‘Mirzapur’, ‘Four more Shots Please’ and ‘Made in Heaven’ being shown on Amazon Prime Video which are showing usage of tobacco smoking scenes without any static health warning and other legal provisions to be followed in such TV serials showing tobacco usage,” Dr Arora, who was earlier heading Delhi State Tobacco Control cell, said. In his letter, Arora said “shockingly” one of the episodes of ‘Made in Heaven’ promotes how to make hookah at home from plastic bottles. All these are promoting smoking and hookah smoking among the youngsters who may easily get influenced as these serials are being produced and acted by their favourite TV and film stars, he said. “I take this opportunity to inform that children in the age group of 6-10 yrs have been observed by me using such indigenously made hookahs. This is the really very serious situation from the public health point of view,” he said, adding these violations are punishable under section 5 and 22 of COTPA. Even if these are still not covered under COTPA, then it’s really high time that the Union government should do something immediately before our whole youth gets trapped into the habits of these hazardous products as most viewership of online TV and film shows belong to youngsters, Dr Arora said. “You (Ministry) are humbly requested to take necessary action to stop the promotion of smoking/hookah smoking in these and if any TV/film serials going on online and are very popular among people especially the youngsters these days,” he said.